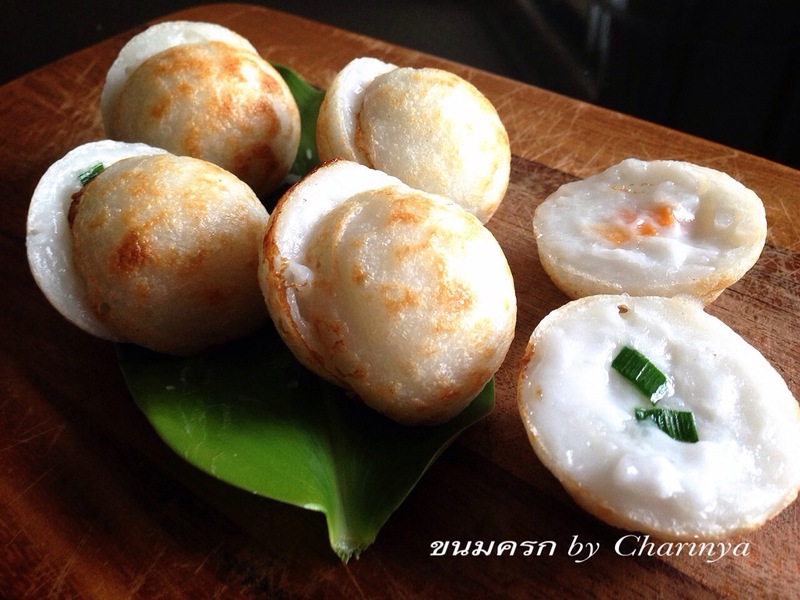 Kanom Krok (Creamy Coconut Rice Flour cake) is a popular street food in Thailand and is one of my favourite snacks. 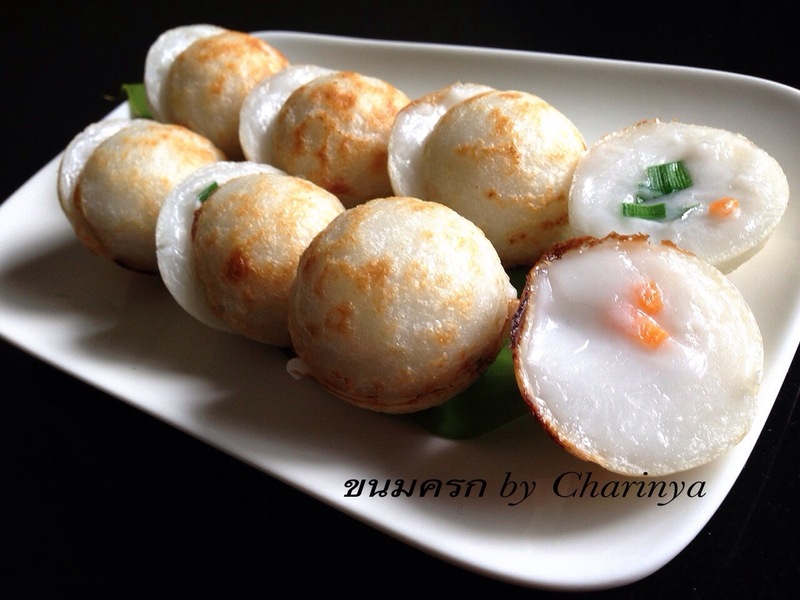 I used to buy this very often when I was in Thailand and I never thought I would one day make it by myself. 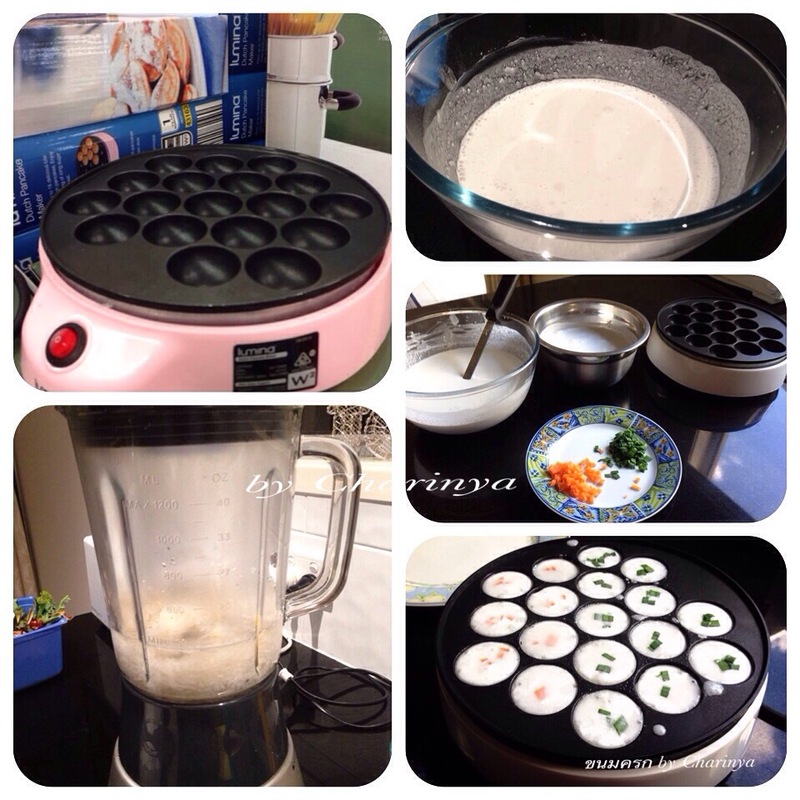 When shopping I saw the Dutch pancake maker and I suddenly thought that I can use this to make Kanom Krok too! 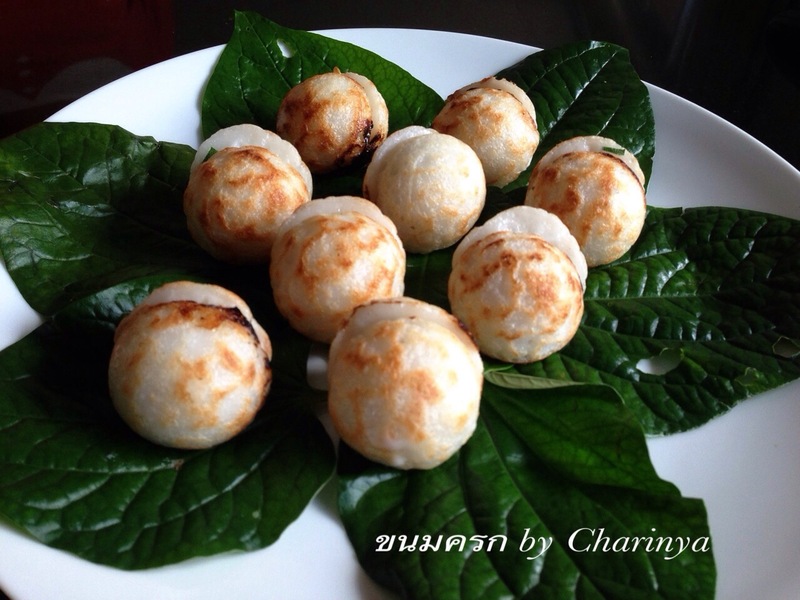 The recipe I use came from a Thai temple a long time ago when they were teaching Thai cooking. 2. If you are using a duchess pancake or small muffin maker machine, heat it up and spray it with some cooking oil. The key is to only fill 3/4 of each mould with flour base. Add the coconut cream topping, again with optional chopped spring onion/corn/pumpkin. You will know when it is cooked as it will be firm and not too watery. Scoop it out of the mould and serve hot! How much does the pan cost?